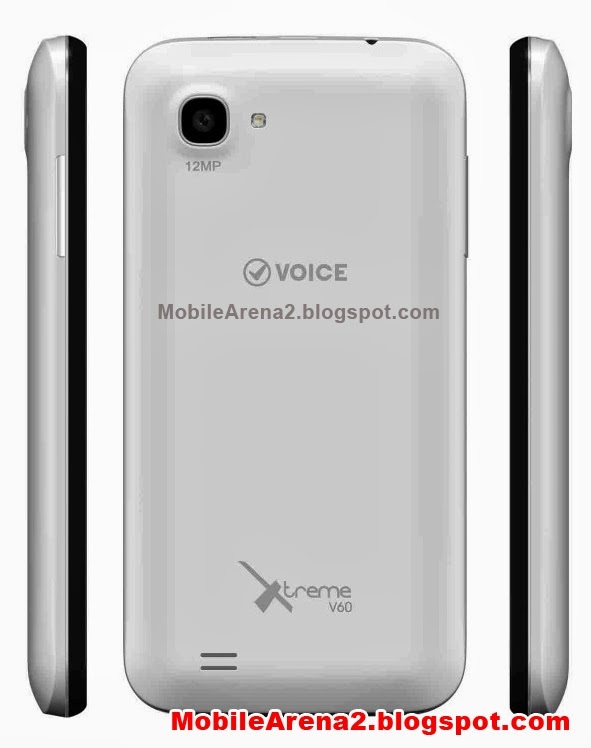 Voice V60 is another smartphone by the company that offers 4.5" touch screen with an beautifully simple design. Its body is made with good quality plastic. 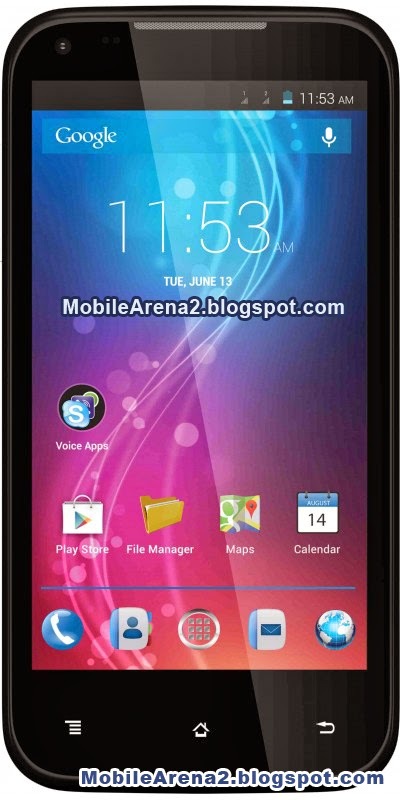 This Dual-Sim phone has a 1.2 GHz Quad-Core processor pared with 1 GB of RAM. 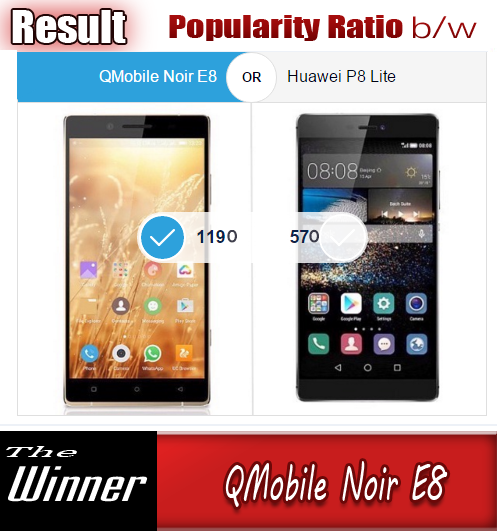 Its built-in memory is 4 GB (1.7 GB user available). 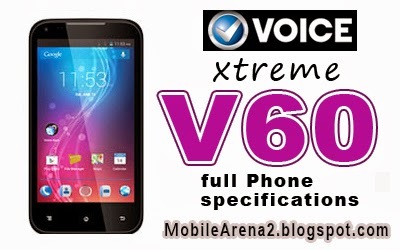 Xtreme V60 is loaded with a stunning 12.0 MP auto focus camera that takes standard quality photos. It also has a 3.0 front facing camera for taking self portraits or video call. Many social apps are pre-installed in this phone which has 2050 battery.